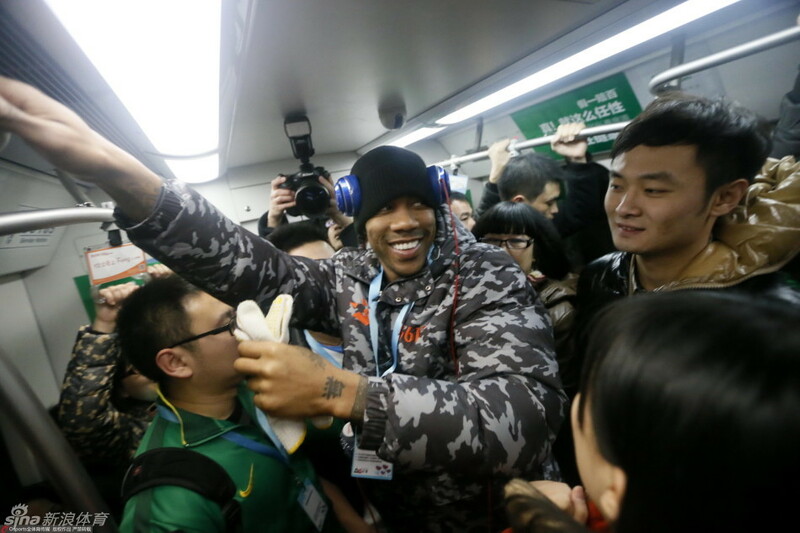 The impression of Stephon Marbury in the West tends to be that he is universally popular in China. This is true to a certain extent in Beijing and the Ducks’ point guard has been well received for trying to live like a local in the capital city. Using the metro to get around the city or attending Beijing Guoan games might be seen by some as a PR exercise but they still represent a man who is trying to be part of his local community. Washington DC native Kevin Durant has no natural links to Oklahoma City but still goes out of his way to seem invested in OKC. Pretending to care is part of life as a top level pro athlete and the simple fact that Marbury is doing that in Beijing adds legitimacy to the Ducks and the CBA as a whole. Having made it clear he loves Beijing, the city has quickly embraced the American as one of its’ own. 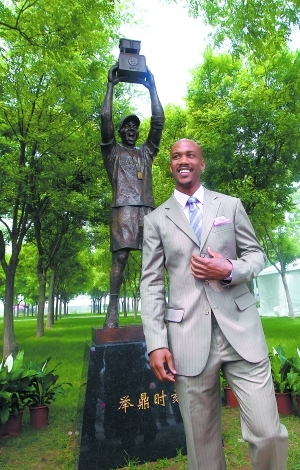 Marbury obviously has been feted with that statue and that cheesy musical but he has also been asked to coach at the Rising Star game at a CBA All-Star weekend, which underlines his credibility within the league’s front office itself. But just because Beijing loves him, it doesn’t mean that the rest of China feels the same way. 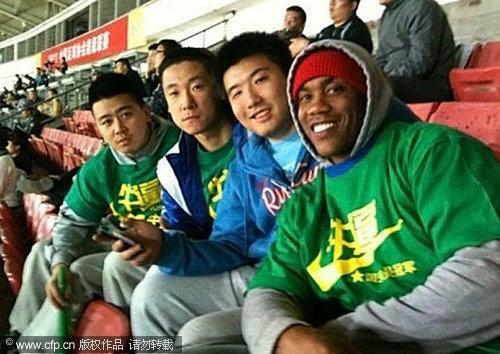 On Sunday, an article went up on one of China’s biggest sports websites talking about an element of Marbury’s playing style that is creating anger among certain parts of the league. A proficient pick and roll point operator, Marbury is a big fan of coming around screens and then charging to the rim. But as part of that run to the basket, he has been known to occasionally raise his leg as he approaches the paint. This means that any big man rotating around to try to block the shot is almost certain to take a blow to the nuts. This move, plus the unwillingness for CBA’s officials to call it as an offensive foul (and sometimes even blowing the whistle against the defensive player), is understandably not being well received. That gif (taken from the Sina article) is from a Guangdong home game and Yi Jianlian is the player incensed by the foul being called against him. Yi though is not the only one to feel this way and over the years, Marbury’s willingness to stick the leg out has made him a source of frustration within the league. This though is the tip of the iceberg for CBA fans with an axe to grind against the CBA’s golden boy. The guard is still reviled among elements of the Shanghai fanbase for a dangerous foul on the Sharks’ defensive specialist, Peng Fei back on Christmas Day, 2011. Shanghai fans on message boards were obviously furious at what had happened and during the game, the Sharks’ coach, Daniel Panaggio, would repeatedly shout ‘that’s a disgrace!’ at the scorers’ table. It was almost impossible for Marbury to get away with the foul and yet he would. 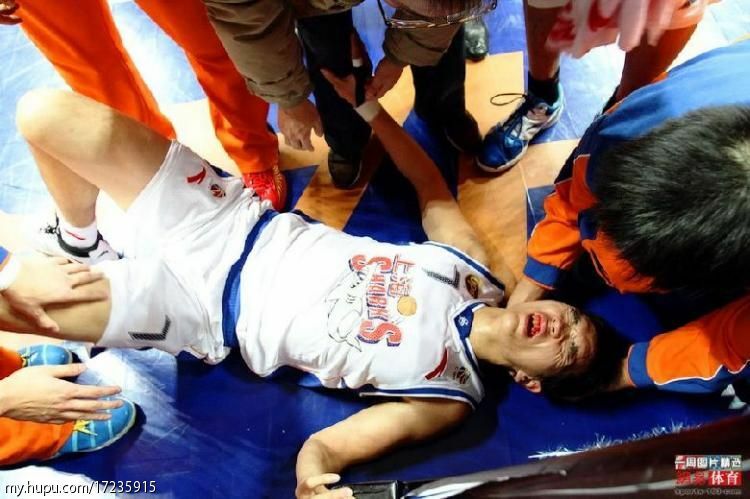 Peng would spend the night in hospital and require several stitches in his mouth whilst three days later, Marbury was back in Beijing, playing in a remarkable game against the Guangsha Lions. By the morning of December 29th, all the coverage would be about Marbury scoring 34 points but still being unable to stop an inspired Wilson Chandler, who had 44 points and 18 rebounds as the Lions won in the capital. Marbury would then go onto win a CBA title that year. He averaged 31.4 points in the play-offs and inspired the Ducks to a remarkable Finals win over the Guangdong Tigers. Marbury, the trailblazing NBA import had won a title. Beijing, one of the historically great sides in Chinese basketball, had also finally got their hands on a championship in the CBA era. Yet this fairytale achievement still didn’t happen without a little bit of controversy. In Game 4 of an intensively close play-off semi final with the Shanxi Dragons, Marbury once again appeared to elbow a player in the head during an attempted lay-up. The player, the Dragon’s on-loan swingman Makan, was cut open by the blow and the referee somehow called an ‘and-1’ on Shanxi and then a further technical for Makan’s furious response. The ensuing chaos almost sparked a stadium riot and after the game Shanxi fans stopped the Beijing bus from leaving the arena, pelting it with bottles and lighters. Game 5, the deciding fixture, was set to be held in Beijing but was itself delayed by a couple of days because as the conspiracy theory goes, the league wanted the Ducks to get more time to recover. James Singleton, a former Washington forward who played for Guangdong that season has since gone on record to say he believes that theory to be true. I think what I’m trying to say is that in the last three years, Marbury has gotten a remarkable amount of slack from the league. This time around, it is forcing centers who are a foot taller and about forty pounds heavier to give ground in the paint but there are many other instances of Marbury getting away within a particularly dirty play. Moreover, I was in the building for the Peng injury. I was close enough to hear his body smack onto the floor and was amazed that there seemed to be no punishment for Marbury. 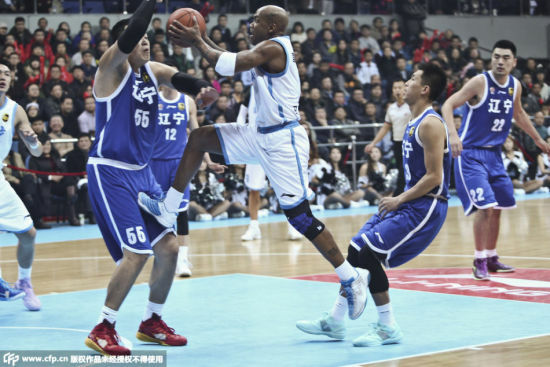 But that was one incident and as the Sina article shows, there is a systematic reluctance by the CBA to enforce the rules on one of its star attractions and Marbury is making the most of this. The situation with Peng, as Panaggio repeated shouted, was indeed a disgrace. Yet whilst that first misdemeanor is on Marbury, everything afterwards is on the league for letting the status quo continue. And thus, as cynical as this sounds, Marbury is right for making the most of extra leeway he is given. So fixing the Marbury issue is on the league, whether it’s through training the referees better or telling them to call the game straight. Until then, Marbury will keep doing what he is doing. Like in any professional sports league wherein championships justify anything, he would be a fool not to intimidate other players and carve out whatever advantage he can get. He shouldn’t care what the rest of the league thinks and plainly doesn’t. He has won two CBA titles in three years for the Ducks and as long as he’s loved in Beijing, ultimately that’s all that matters.